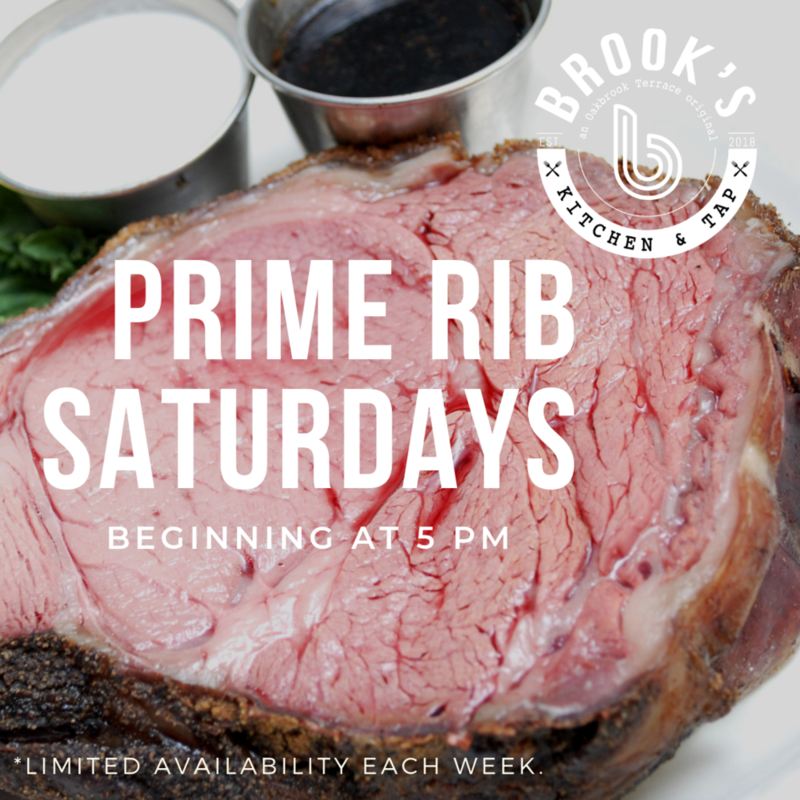 Your Saturday nights just got more delicious with our addition of Prime Rib Saturdays every weekend at Brook’s Kitchen & Tap! Beginning at 5 PM every Saturday, limited quantities each week— get some while it lasts! (c) 2019 Brook's Kitchen & Tap. Brook's Kitchen & Tap is an HDZ Hospitality, Inc. restaurant concept. Brook’s Kitchen & Tap is a proud member of the Greater Oak Brook & Lombard Area Chambers of Commerce. Images (c) Sean Henderson Photography unless otherwise noted.